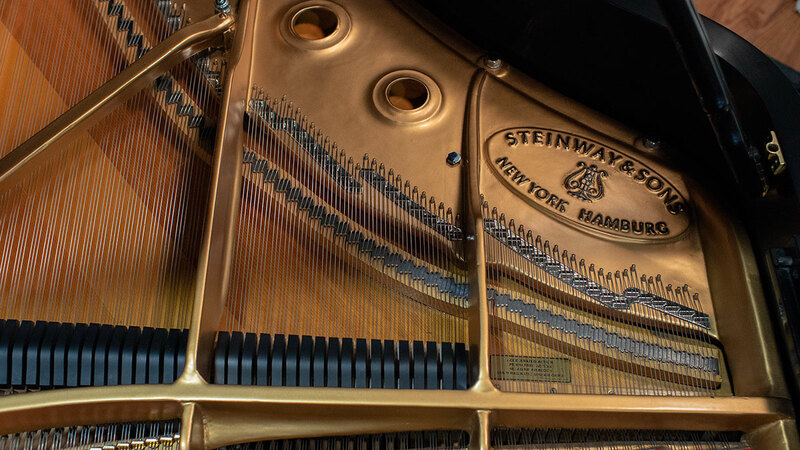 This is a Steinway concert grand that was built in the New York factory. 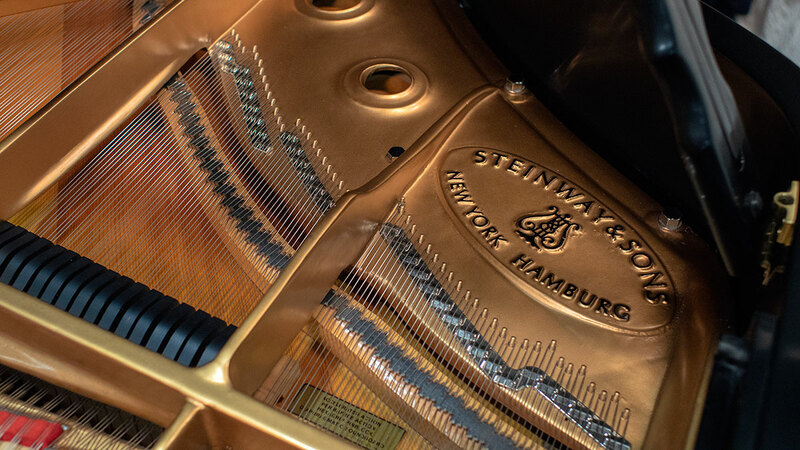 Arguably the most iconic concert instrument of our time, the Steinway D is an extremely versatile piano making it a well-rounded instrument for all genres of music. 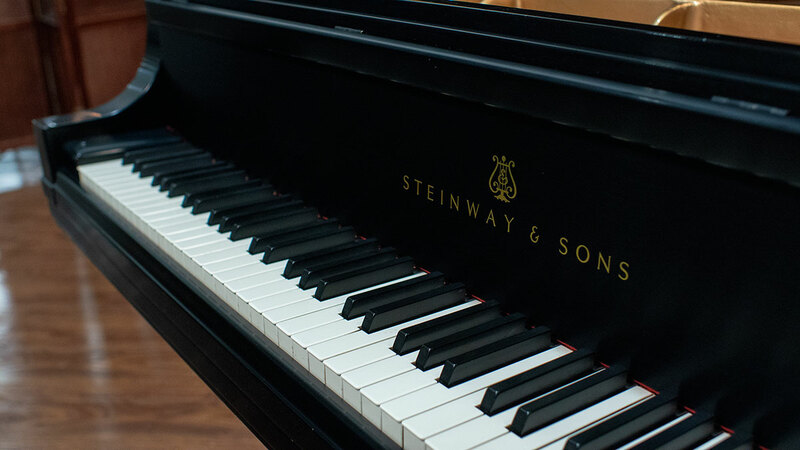 The Steinway model D is found on concert stages the world over and is the overwhelming choice of concert artists. 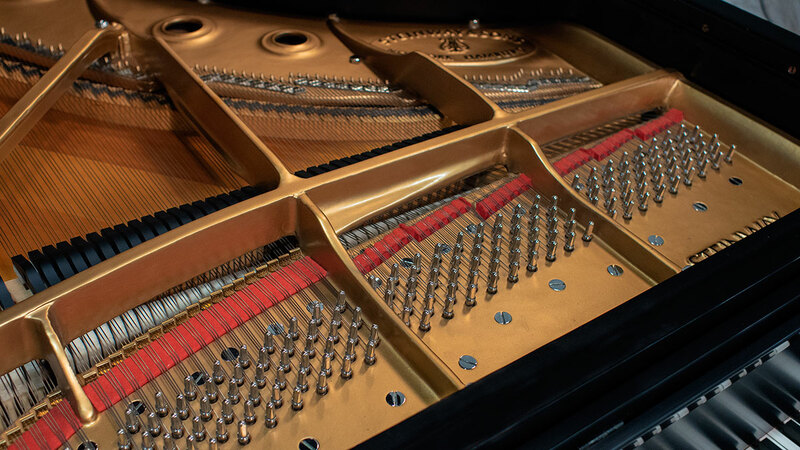 This piano has recently been rebuilt with Steinway parts. 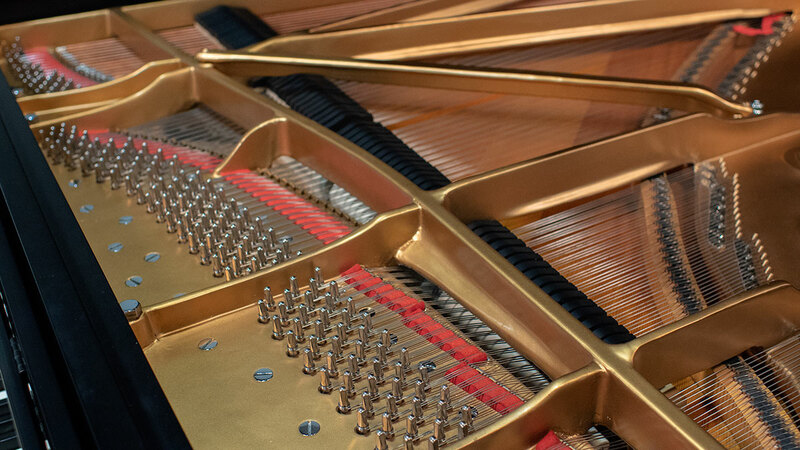 The action has new hammers, shanks, knuckles as well as repetitions. The back action has also been rebuilt with Renner parts. 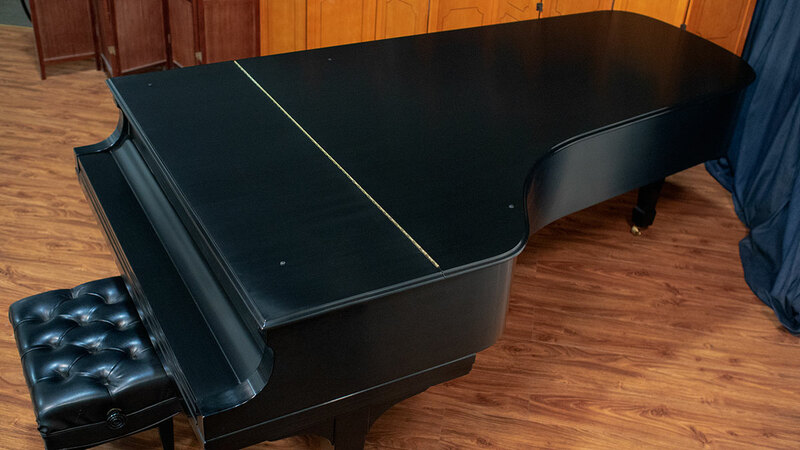 It has been refinished and restrung with #2 pins. 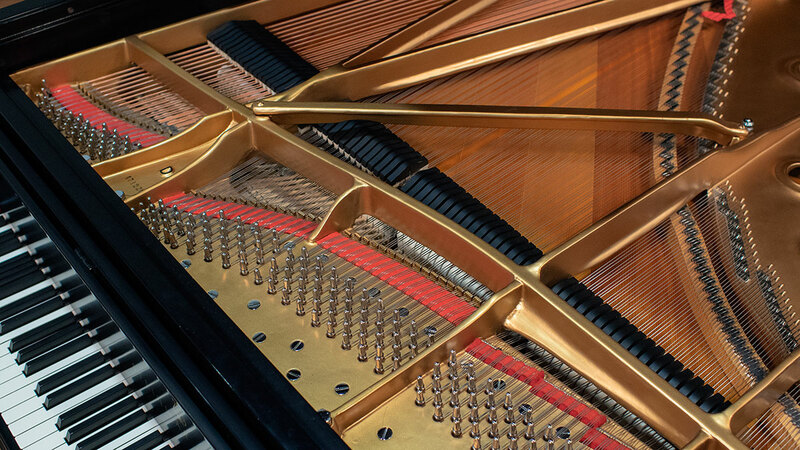 The work on the piano is extremely high quality and our technicians have brought the piano to peak performance. 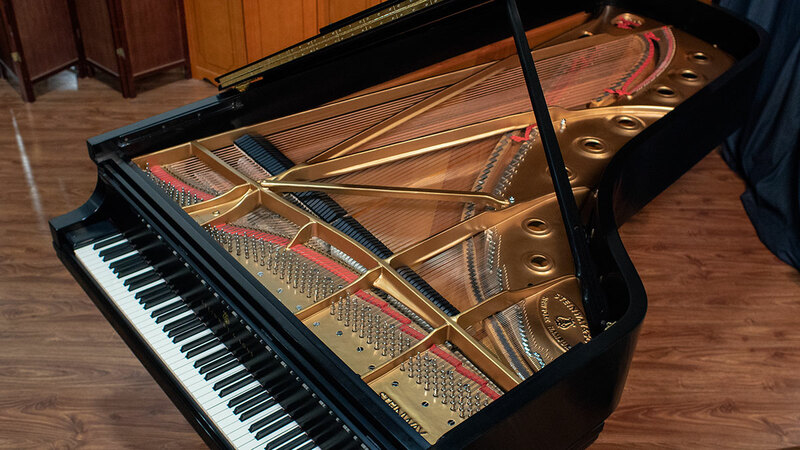 So, the piano is ready for the concert stage and should provide many years of high-level service. 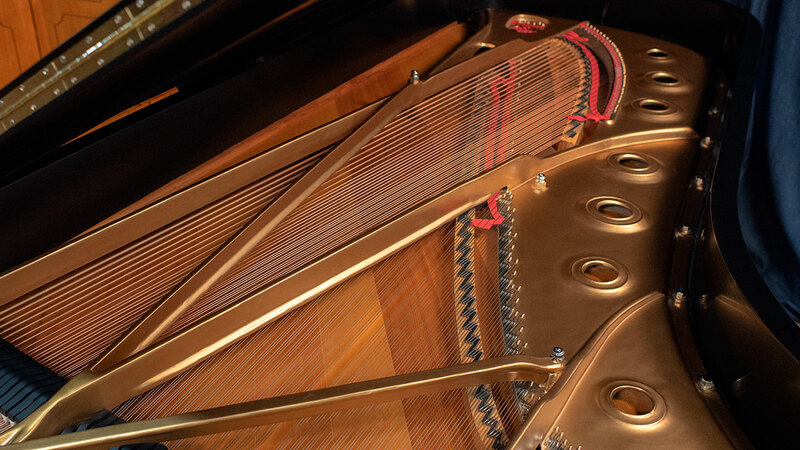 This piano has a large dynamic range. 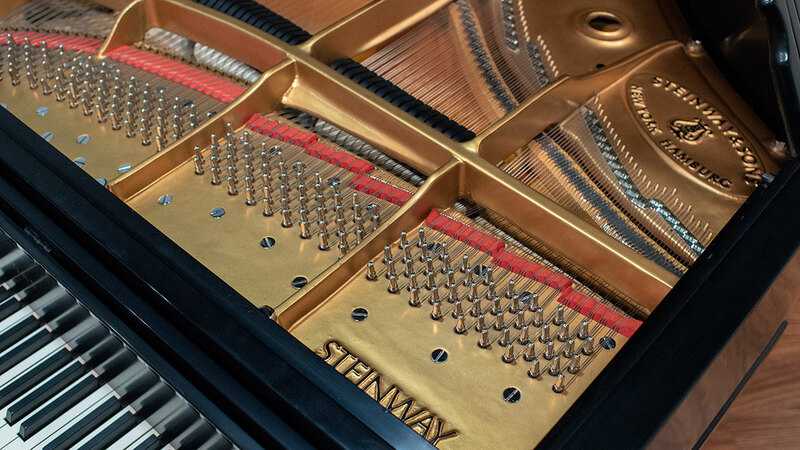 Each Steinway D has its own voice. 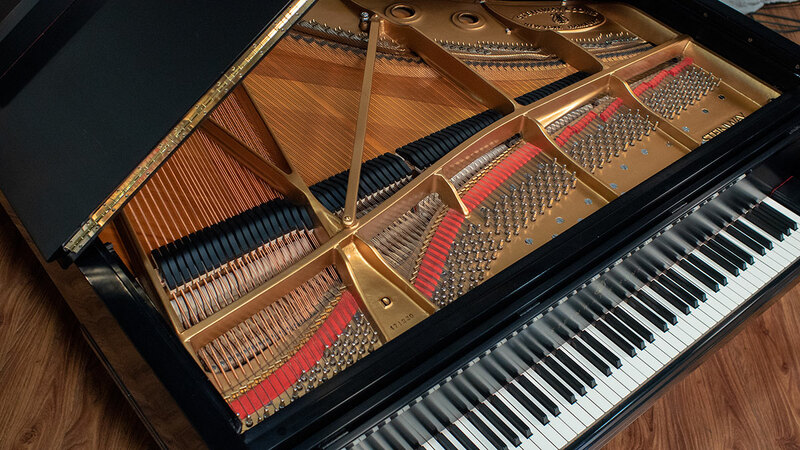 This piano lends itself beautifully to chamber music and solo playing and is quite capable of balancing with larger ensembles. 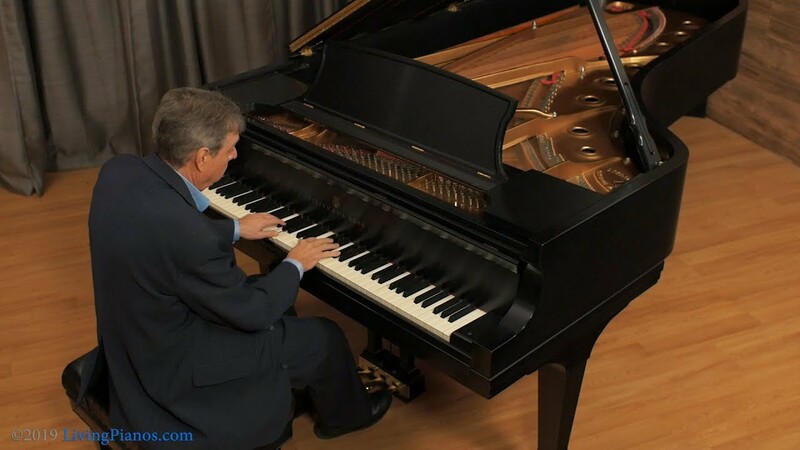 The action is extremely comfortable and it is possible to play the most delicate passages with ease because it has been precisely regulated. The action is on the lighter side compared to some other D’s. The Accelerated Action is lightning fast! 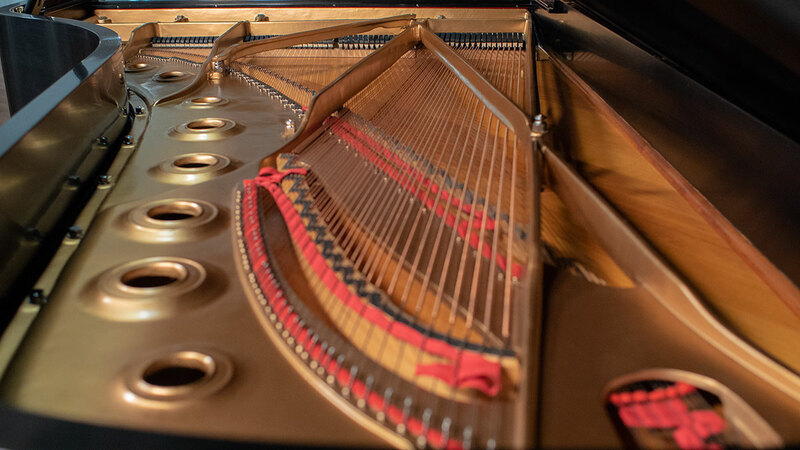 The bass end of the piano is everything you would want in a model D and is incredibly projecting. 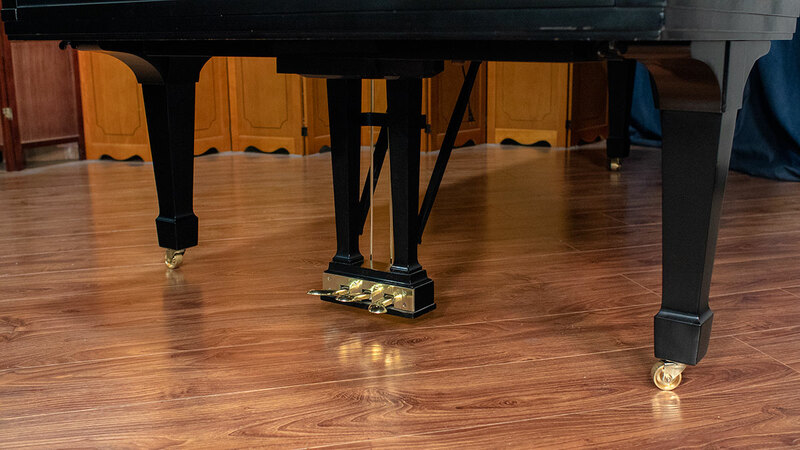 This piano will easily fill a medium-sized hall. 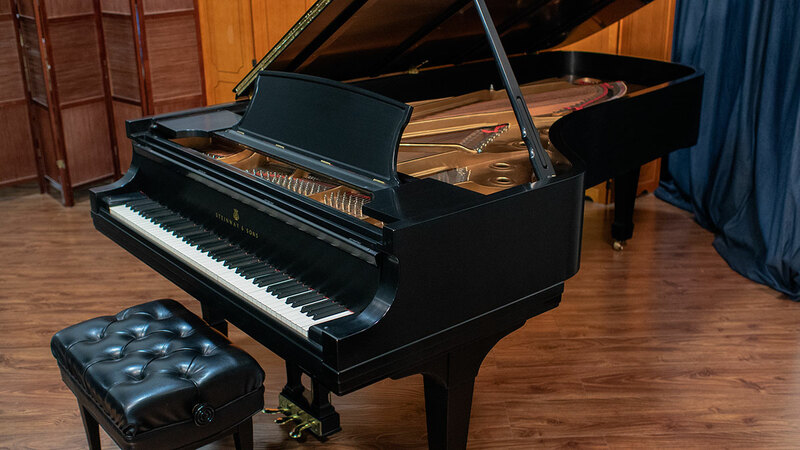 Yet, this is a D that would provide the ultimate playing experience in your home. 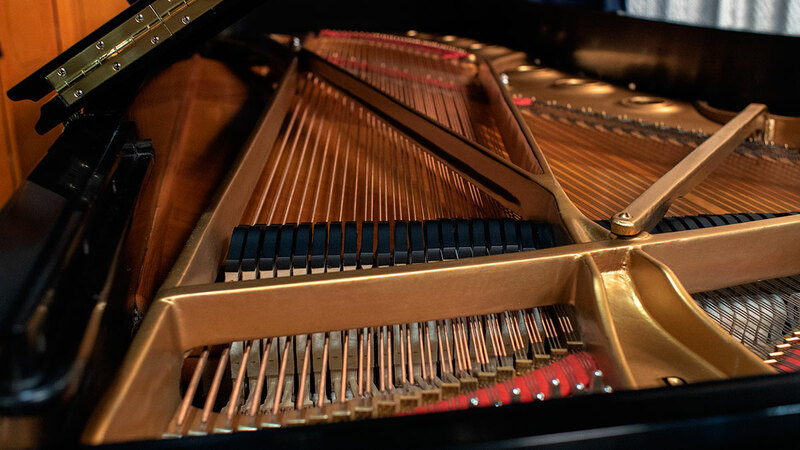 The treble end offers a clean resonance that enunciates with clarity. 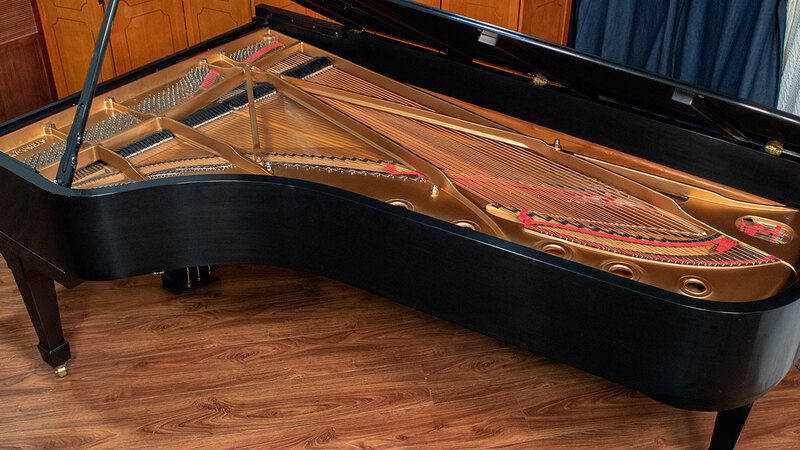 This is a wonderful piano offering vast musical possibilities allowing your expression to run wild while providing the perfect instrument to prepare you for the concert stage.